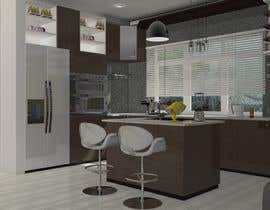 design my kitchen for both unit 2 of this plan. I'm building a new house, I would like to hire a talented and experienced Interior Designer! If you win this job I will give award a large project to you to design the interior of both Units under construction. All the bathrooms, kitchens, rooms, dining, alfresco, living spaces etc. Sorry, I couldn't able to submit it in time due to my personal issues. I have finished your job and going to upload it in my profile . If you think it may be helpful for you then take it from my profile. Did you restart this competition for another 4 weeks? Can I get the AUTOCAD file? Dear contest holder, what is your measurement unit? Is it inch or foot? I can ask for auto cad does that help? Would you mind uploading sections and window schedule too, please? Can you guys provide a 3D model so I can move around the perspective? Please try all your favorite styles, I have no favorite style. I will extend this contest 1 more week. Please try your best, the winner will be awarded more projects privately to do the entire two houses. i mean style in mind. Hi there! Any style in mine for the kitchen? I"ll do this. Please, provide me the autocad/revit format of this plan. 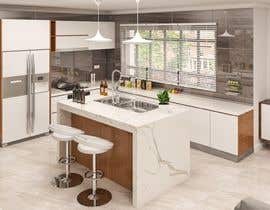 there are two kitchen in the pdf which one you want interior for? Hello! Do you have the file Archicad?